So they say that! I believe candy bars are not just a treat for the kids. I, at twenty-two can jump with glittering eyes and a wide smile if you offer me a bar of Bounty! 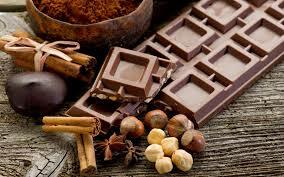 Chocolates are not just a delicious snack but also a great source of instant energy. While travelling, just before exams or something important, good rains, after a good workout, or just while watching your favorite movie, every time is the right time to grab a candy bar! Some chocolates I grew up with and bring back a jet of nostalgia with every bite are mentioned below. 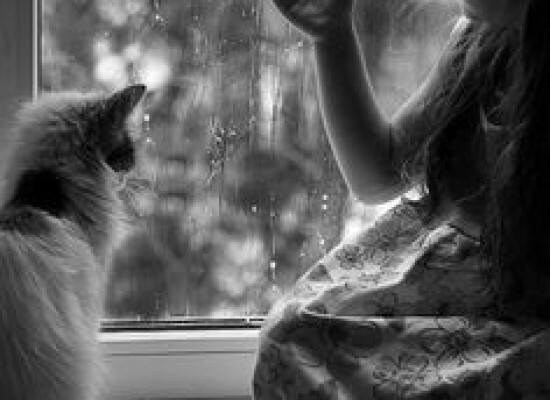 I just think it is a great idea to know a little more about them. My article on Candy Bars has been split up into two parts, this being the first one. 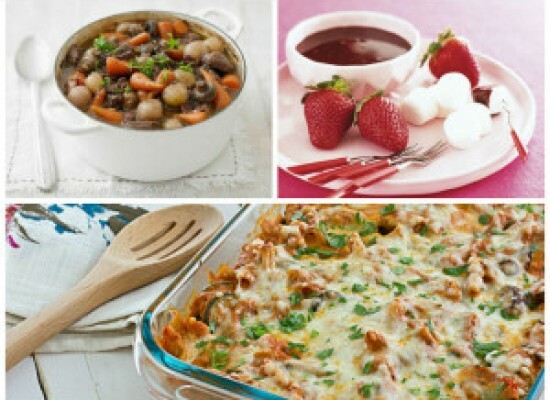 For more on these delicious treats, look out for the second part too. 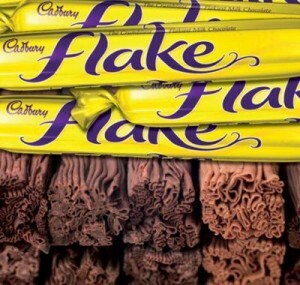 Flake is a chocolate bar brand which is currently manufactured by Cadbury Ireland. It has an interesting flaky texture and consists of thinly folded Dairy Milk milk chocolate. Founded by an employee at Cadbury in 1920, it was developed when the excess from the moulds was drained off and fell off in a stream. This created folded chocolate with flaking properties on hardening. 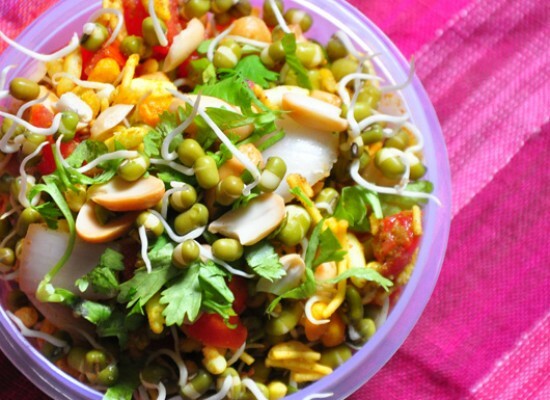 As it has a flaky texture, it is a little difficult to eat it without dropping any as it tends to crumble apart. Many other variations have also been developed though the original flake was a constant hit amongst its fans. 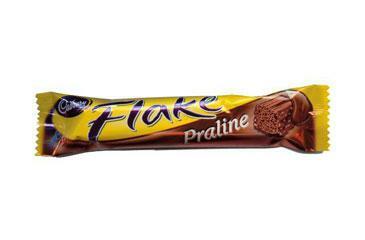 Flake Dipped, also known as Flake Luxury is the original milk chocolate Flake dipped in milk chocolate. It was launched in 2003. Flake Noir is a dark chocolate Flake bar while Flake Dark that was launched in 2006, is a dark chocolate Flake bar covered in dark chocolate. Flake Snow, the white chocolate variant of Flake Dipped was known as Snowflake until 2003 and was then discontinued in 2008. Many other flavors and variants of Flake have been introduced and launched in different parts of the world. Some of them are Flake Praline, Flake Allure, Orange Flake and Flake Mint. 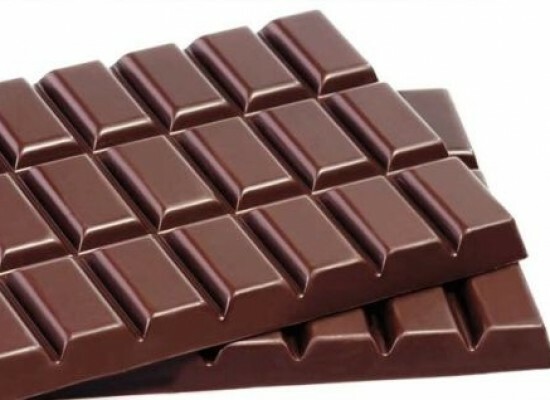 A famous brand of chocolate manufactured by The Hershey Company came up with these bite-sized pieces of chocolate having a distinct shape resembling that of flat bottomed tear drops. 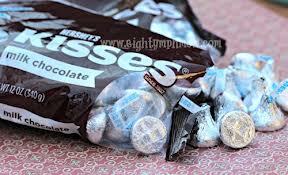 Hershey’s Kisses are packed in lightweight aluminium foils of different colors depending on the flavor of the chocolate. They had a narrow strip of paper protruding from the top. These are one of the most popular chocolate brands in the States and in the rest of the world. Kisses are mass-produced by machinery that would pump a specified amount of viscous chocolate on a conveyer belt and then are allowed to cool down so as to lend it the shape. 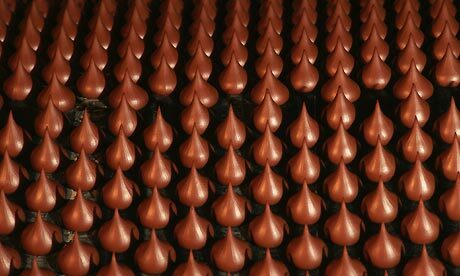 These candies get their name ‘Kisses’ because of the ‘kiss-like’ sound that the machinery makes during production. It was first introduced in 1907, and a century later, they are still reigning the market and the hearts of the fans. They form an integral part of American history and pop-culture. 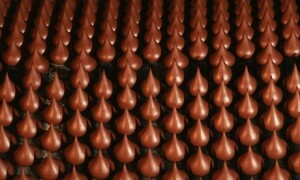 Kisses is also available in a variety of forms like the Kisses with Almonds, Dark Chocolate Kisses, Caramel Kisses and Kisses with Hazelnut. ‘Hugs’ or the mini Kisses covered in white chocolate was my personal favorite though it was a limited version. Some other limited versions were ‘Layers’ i.e. white chocolate on the top and milk chocolate in the bottom, Special Dark Coffee flavored Kisses, Extra Creamy with Toffee and Almond, Dark Chocolate Orange flavored and many more. Bounty is a chocolate bar produced by Mars, Incorporated. 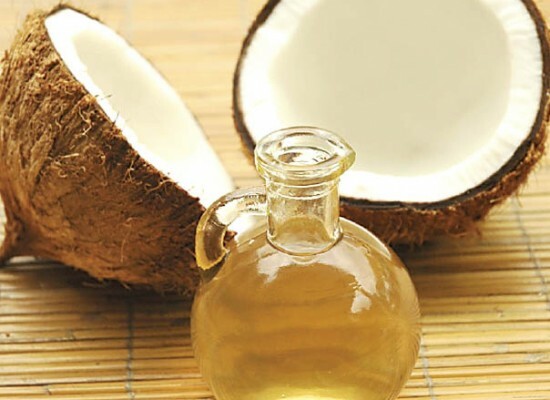 It was first introduced in 1951, in the United Kingdom and Canada. What distinguishes this chocolate bar from others is the moist coconut filling in the centre which is enrobed with milk chocolate. This is available all over the world except the States, where Mounds by Hershey’s, a similar product is marketed. 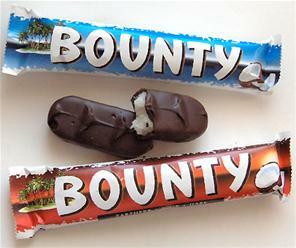 The dark chocolate version of Bounty is also available in the market. The thick milk chocolate coating provides a perfect contrast and balance with the mild flavor of the soft coconut center. The chocolate bar should be eaten right out from the refrigerator as it tastes the best then. It might even take you to the tropical beaches lined with coconut palms in your imaginations as you bite into this delicious candy bar. For its variants, there were limited editions of a Cherry Bounty Bar which was available since 2006 in Australia. 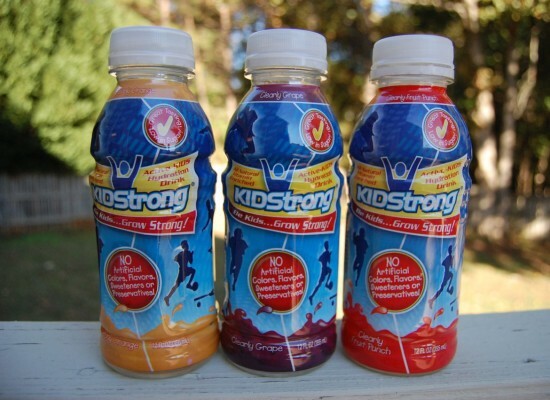 A limited mango flavored edition was available during 2004-2005 and a few years later again in Russia. 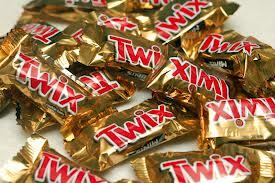 Twix is a popular chocolate bar manufactured by Mars, Incorporated. It consists of a biscuit finger, coated with other confectionery toppings, most commonly caramel and milk chocolate. 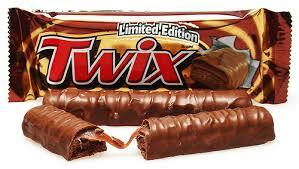 Twix Bars are typically packaged in pairs. 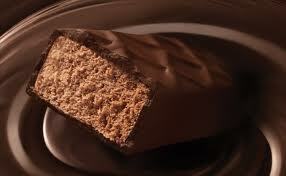 The chocolate bars apparently got their name from combining the words, ‘twin’ and ‘biscuits’. It was first created in 1967 in the United Kingdom, and was later introduced in the United States in 1979. Twix was called Raider in certain parts of the world like Denmark, Belgium, Poland, Spain, Israel, Turkey and many other countries till 1991, when its’ name was changed to match the international brand name. Twix is available in various other flavors like Twix PB that has a chocolate biscuit, peanut butter coating instead of caramel and milk chocolate coating, Cookies-n-Cream Twix where a cookies and cream filling replaced the caramel filling, Twix White with a white chocolate coating, Triple chocolate that contained chocolate flavored butter cookie, chocolate flavored caramel and a chocolate coating. Many other versions were the Choc ‘n’ Orange Twix, Twix Mint, Coffee Twix, and Dark Chocolate Twix Towers etc. They are also available in different sizes and as singles too. These chocolate bars are bound to take you through a variety of memory lanes, I am sure! Go get your favorite candy bar and pamper your taste buds. But before you leave, remember: ‘Candy Bars: Part 2’ coming soon! 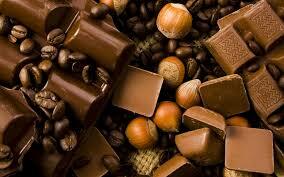 Chocolates- the most loved of all!